The card I’m sharing with you today is my last card as a Design Team member with Merry Monday Challenges. I’ve had a ball and want to thank Lesley for asking me to be part of an amazing group of creative women. I gave myself the challenge of entering every challenge when Lesley started this challenge at the start of last year. I’m pretty proud of myself as I can say I was able to play along every week. Even when I was away I was able to enter because by that time I was on the Design Team and had the sketches in advance. I now have a huge stockpile of Christmas cards. I’ve gone a bit vintagey with my card today and have used a retired Stampin’ Up! set called Watercolour Winter and the paper I’ve used is from a retired pack called Brocade Background DSP. Head over to Lesley’s blog and check out the gorgeous inspiration from the Merry Makers. Sorry to hear this is your last post as a DT member, but hope to see more of your gorgeous Christmas card creations. 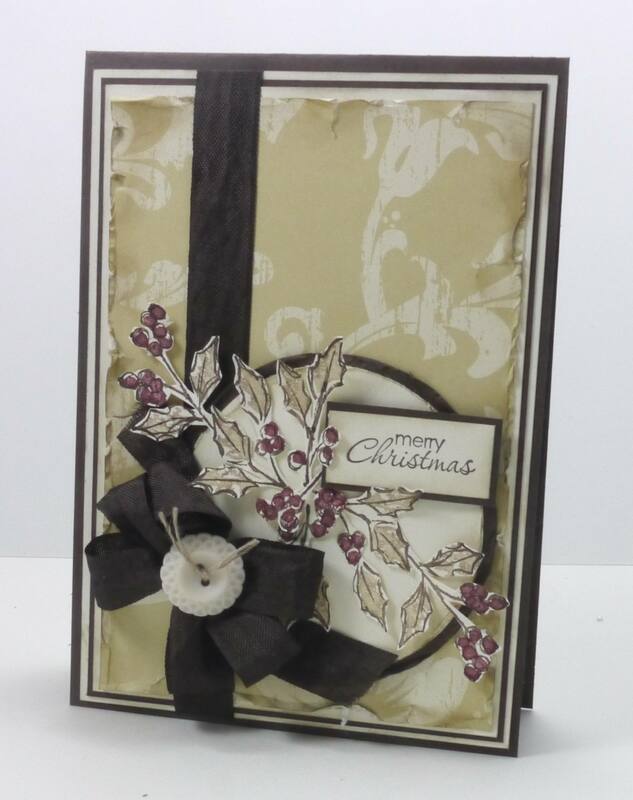 This one is no exception, love the vintage style of your card. So pretty. Stunning card Narelle, you are going out in fashion. I love these colours and vintage look, your bow is beautiful. It was wonderful creating with you each week, we will miss you :). Love the colors, patterns, paper and wonderful fussy cutting on your holly! I will miss you so much, Narelle! 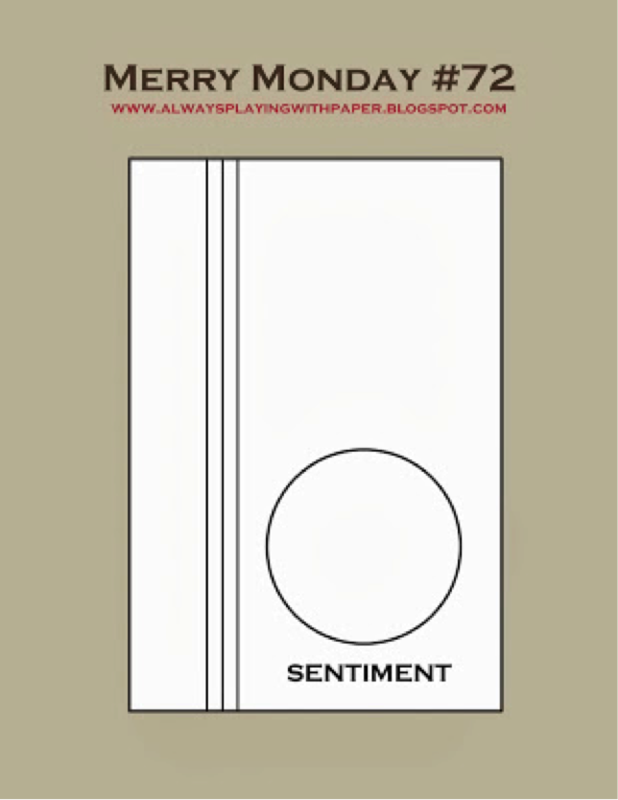 Love your cards and the wonderful way you craft! You have been an amazing member of this team and I loved working with you!!! Thank you for all of your hard work and dedication!!! Hugs!! Another beauty, Narelle! I love your style with the fussy cutting and gorgeous bows! I’m going to miss being able to oogle your creations early and having you on the team. I feel like I gained a sweet friend during our time together. Let’s keep in touch. I know I’ll be visiting your blog regularly. Hugs! All of your cards are absolutely beautiful, Narelle, and this one is no exception! I love everything about it! Surely going to miss you being one of the Merry Makers and hope to see you around blogland in the future. Best Wishes!! Elegant colors! I love how you have used the bold patterned paper as the backdrop!